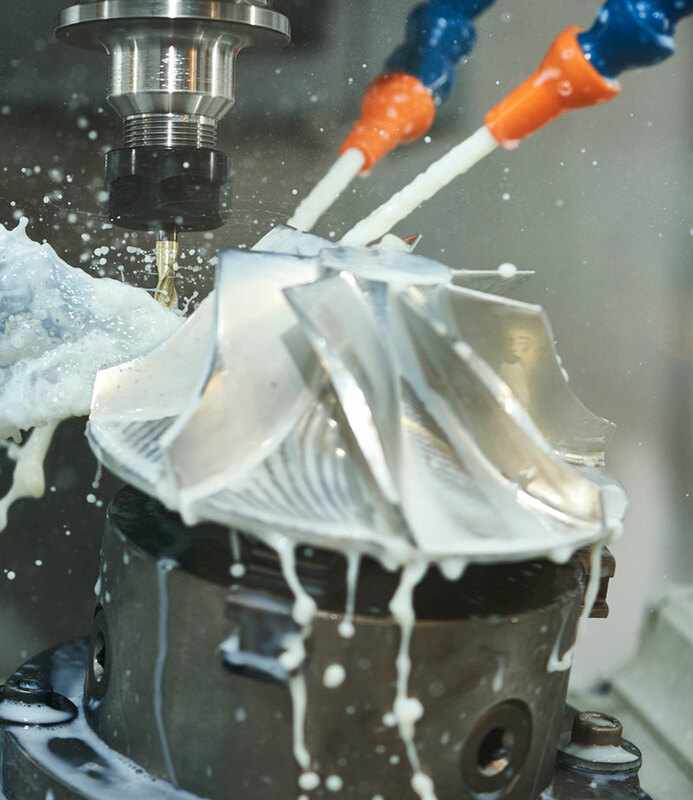 KOOLRite™ 2375 MAX is a state-of-the-art product in JTM’s KOOLRite™ long lasting cutting fluids, formulated to meet the needs of customers running the most severe machining operations. KOOLRite™ 2375 MAX is designed to provide machining performance on all metals, except for magnesium, even tough to machine aerospace metals. As part of the KOOLRite™ family, KOOLRite™ 2375 MAX utilizes JTM’s unique BioArmor™ Technology to give your coolant outstanding control of bacteria without the use of bactericides or DCHA. BioArmor™ protection stops sump odors, giving you exceptionally long sump life, and provides machine operators with clean, comfortable, and safe work environment. KOOLRite™ 2375 MAX is compatible with other KOOLRite™ products and can be used over the top of KOOLRite™ 2290 and KOOLRite™ 2270 for improved machining results.